A counting semaphore. Conceptually, a semaphore maintains a set of permits. Each acquire blocks if necessary until a permit is available, and then takes it. Each release adds a permit, potentially releasing a blocking acquirer. However, no actual permit objects are used; the Semaphore just keeps a count of the number available and acts accordingly. 要求完成的功能是： A synchronization aid that allows one or more threads to wait until a set of operations being performed in other threads completes. A CountDownLatch is initialized with a given count. The await methods block until the current count reaches zero due to invocations of the countDown method, after which all waiting threads are released and any subsequent invocations of await return immediately. 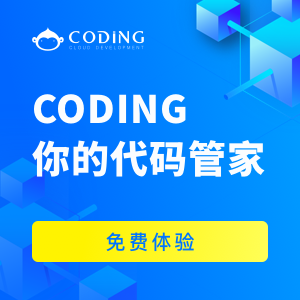 名字翻译很好，可重入锁。功能需求如下 A reentrant mutual exclusion Lock with the same basic behavior and semantics as the implicit monitor lock accessed using synchronized methods and statements, but with extended capabilities. A ReentrantLock is owned by the thread last successfully locking, but not yet unlocking it. A thread invoking lock will return, successfully acquiring the lock, when the lock is not owned by another thread. The method will return immediately if the current thread already owns the lock. This can be checked using methods isHeldByCurrentThread, and getHoldCount. 读写锁的要求是： A ReadWriteLock maintains a pair of associated locks, one for read-only operations and one for writing. The read lock may be held simultaneously by multiple reader threads, so long as there are no writers. The write lock is exclusive. All ReadWriteLock implementations must guarantee that the memory synchronization effects of writeLock operations (as specified in the Lock interface) also hold with respect to the associated readLock. That is, a thread successfully acquiring the read lock will see all updates made upon previous release of the write lock. 先看需求 A cancellable asynchronous computation. This class provides a base implementation of Future, with methods to start and cancel a computation, query to see if the computation is complete, and retrieve the result of the computation. The result can only be retrieved when the computation has completed; the get method will block if the computation has not yet completed. Once the computation has completed, the computation cannot be restarted or cancelled.